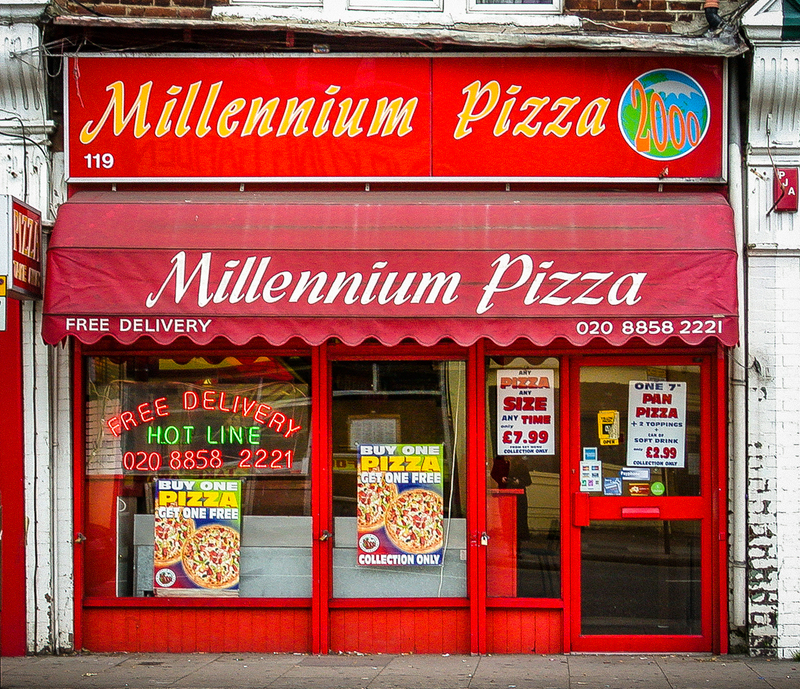 Millennium Pizza, 119 Woolwich Road, Borough of Greenwich, London SE10, 2002 • That jellyfish in its 2000 logo is in fact the nearby Millennium Dome (as the O2 was once quaintly called). It’s yet another from the batch of Millennium eateries near the Greenwich dateline, featured in the last few posts. This one kept the 2000 branding till 2015, but by 2017 had become a Papa John’s pizza outlet.